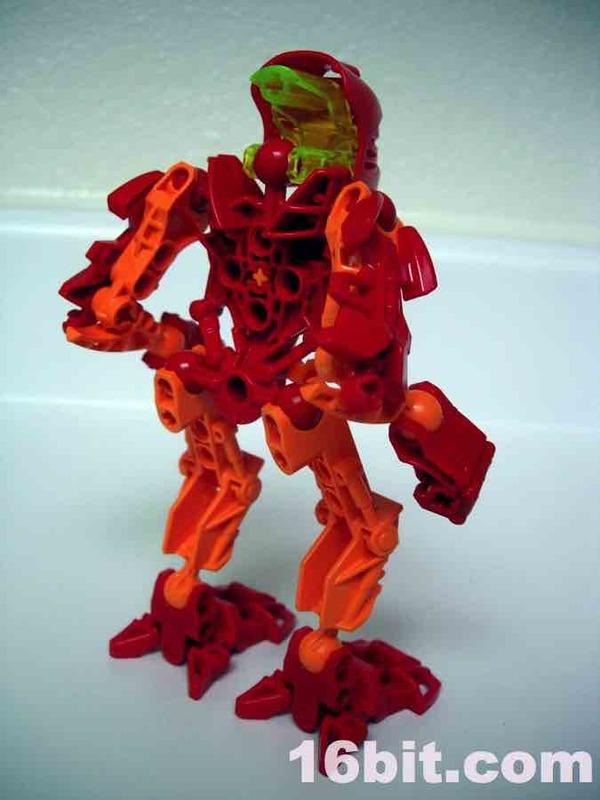 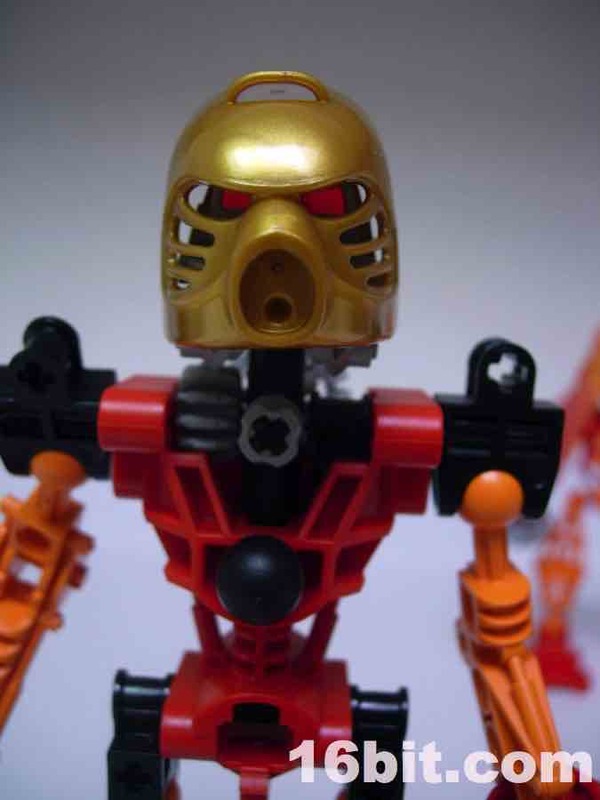 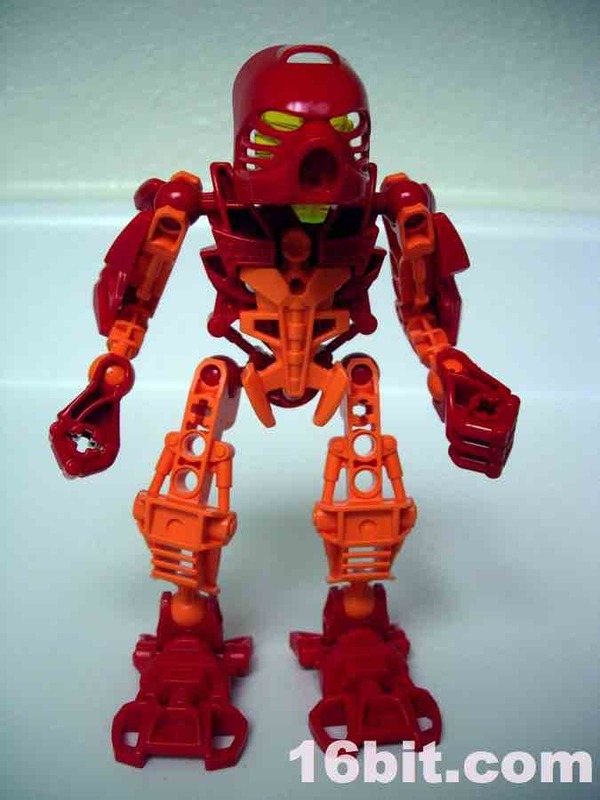 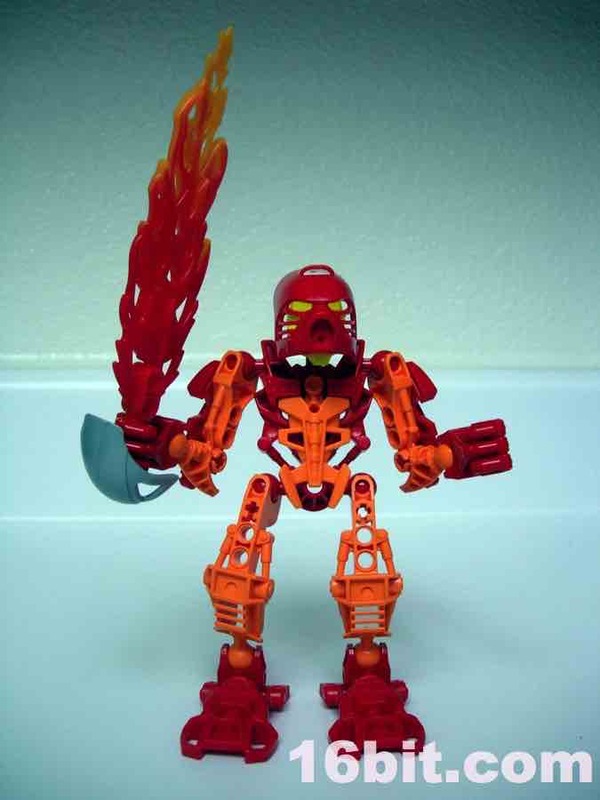 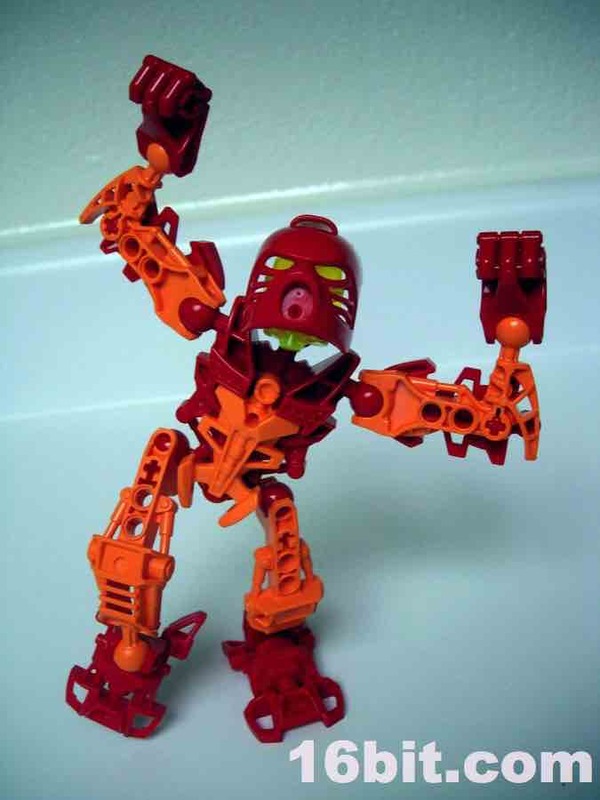 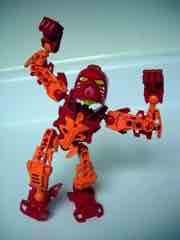 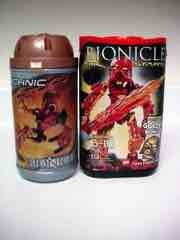 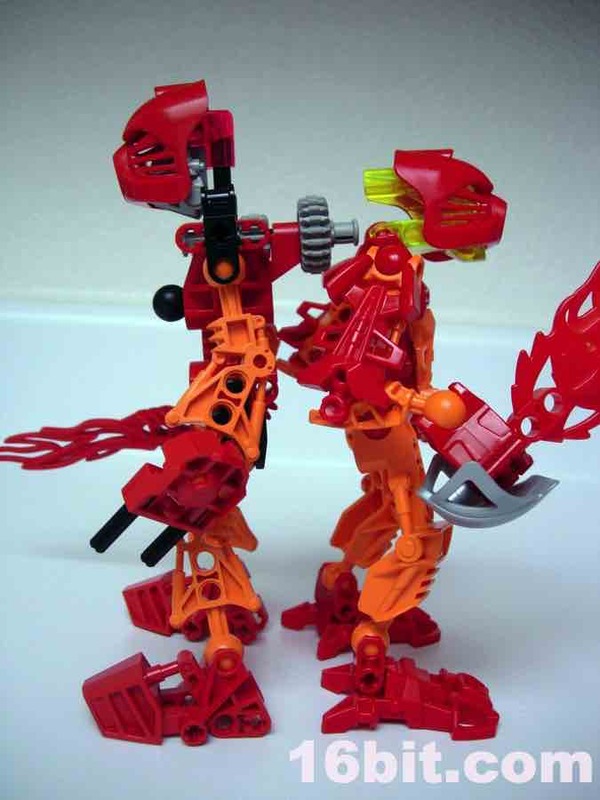 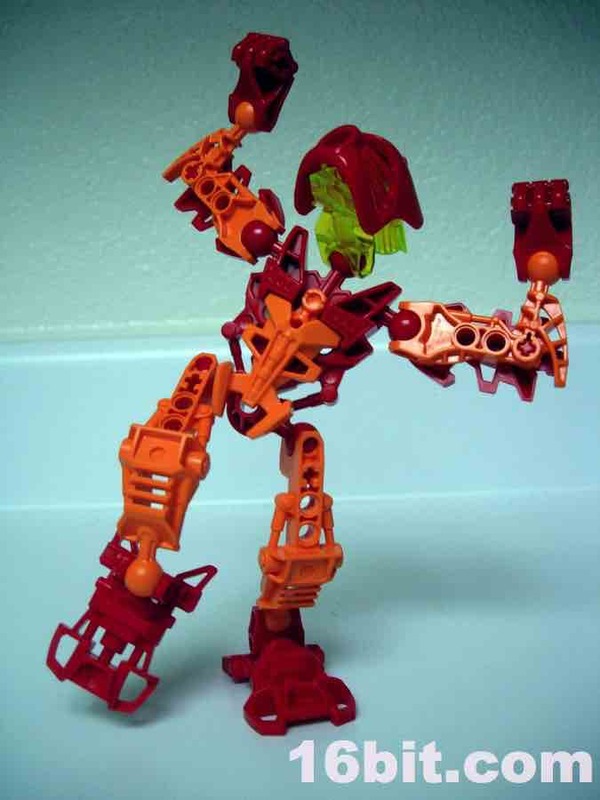 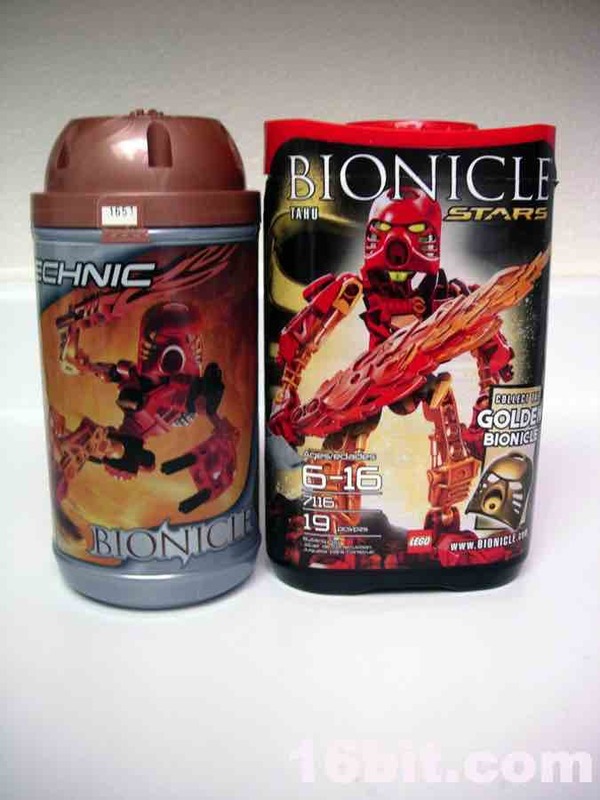 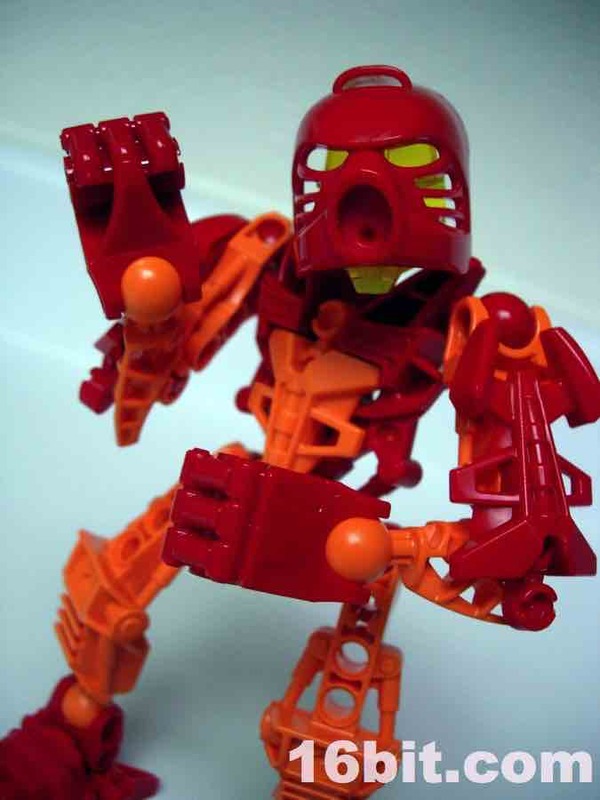 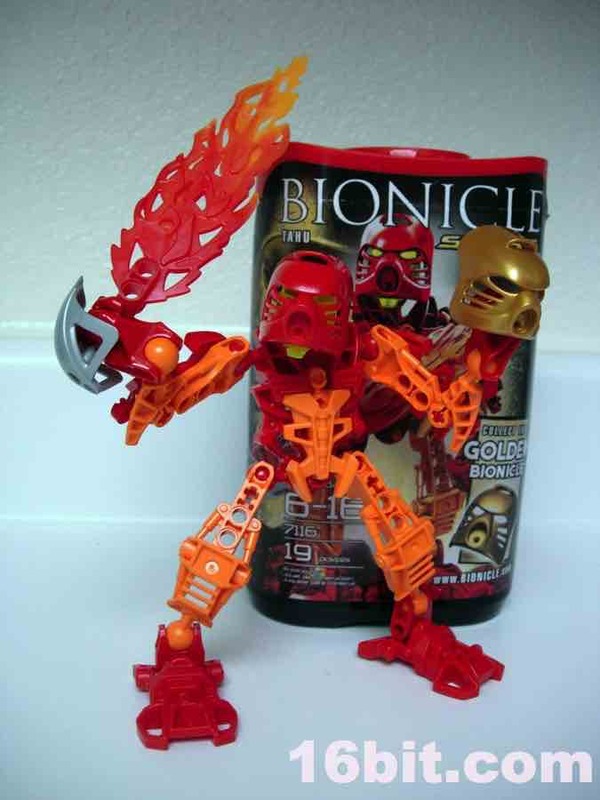 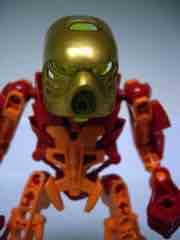 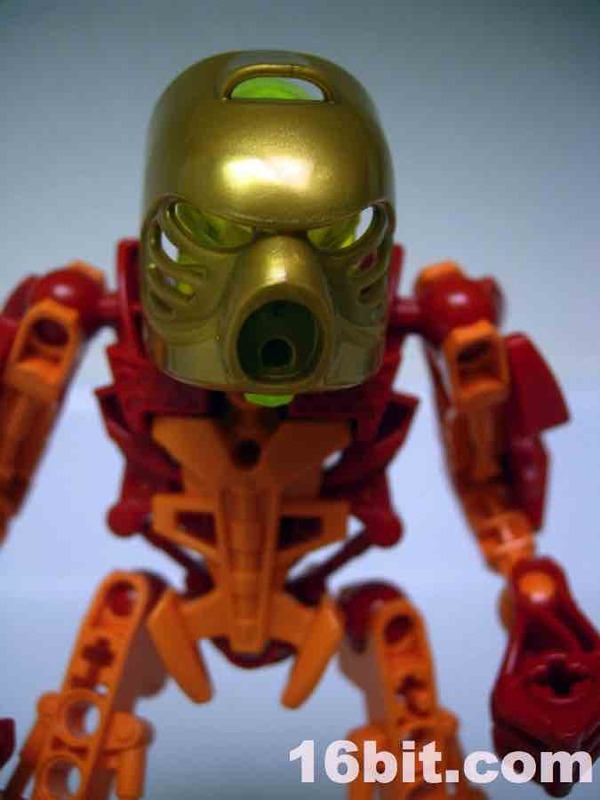 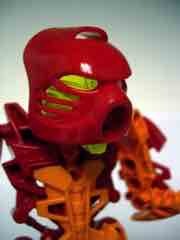 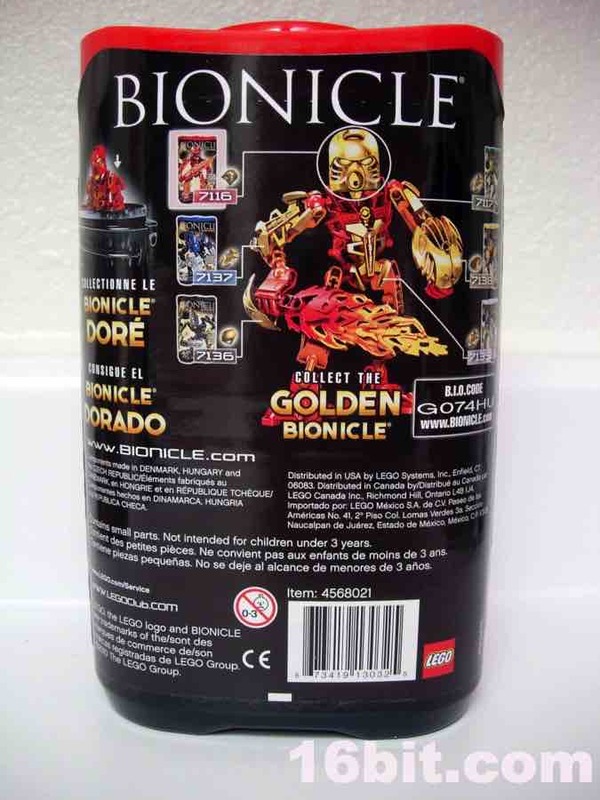 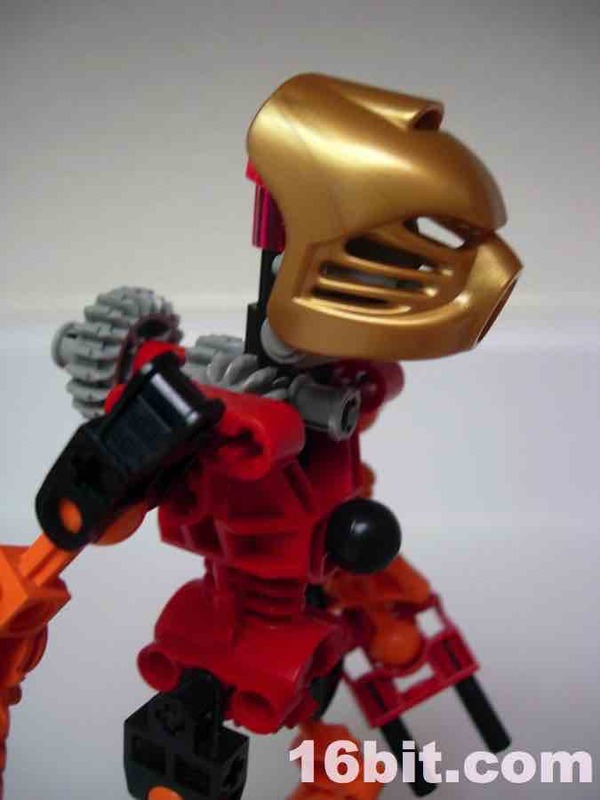 I was really jazzed to get the first Bionicle toys, and when I saw the line was wrapping up with a sort of "greatest hits" line called Bionicle Stars, I was glad to see that my early favorite-- Tahu-- would be included as a redesigned, simplified action figure. 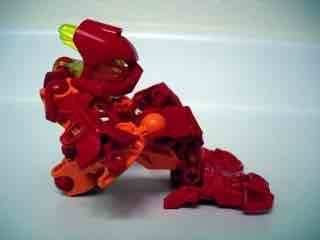 Standing just about 6-inches tall, this figure goes together so quickly it's almost ridiculous. 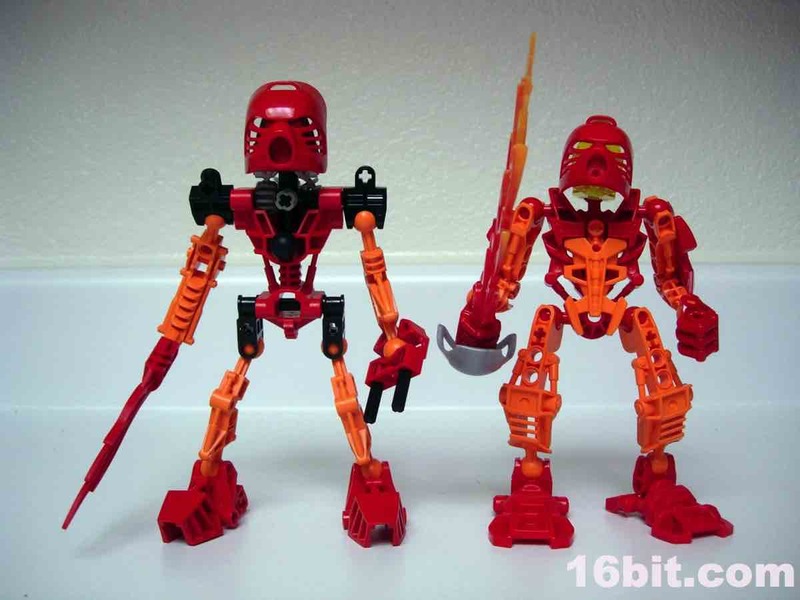 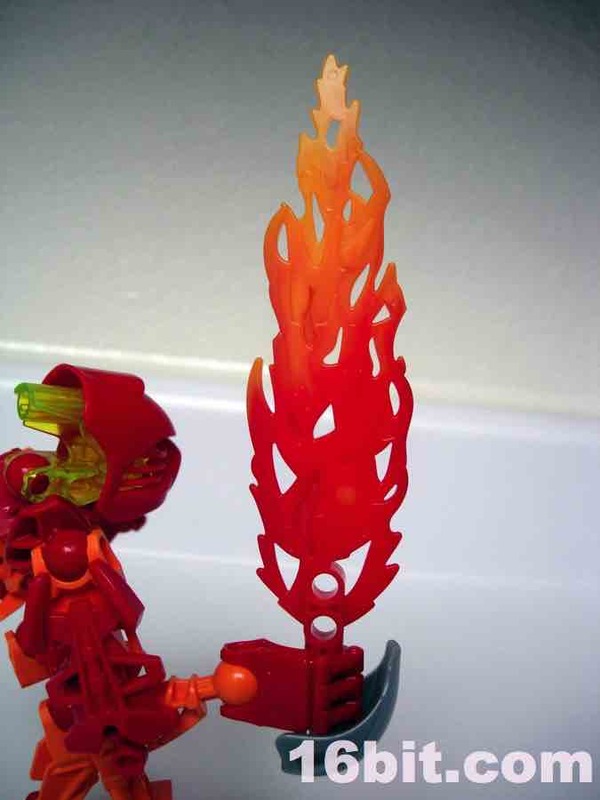 The original Tahu had a ton of little rods and connecting pieces, while the 19-piece Bionicle Stars Tahu has 19 pieces and can be easily assembled without even looking at the instructions in, give or take, about two minutes. 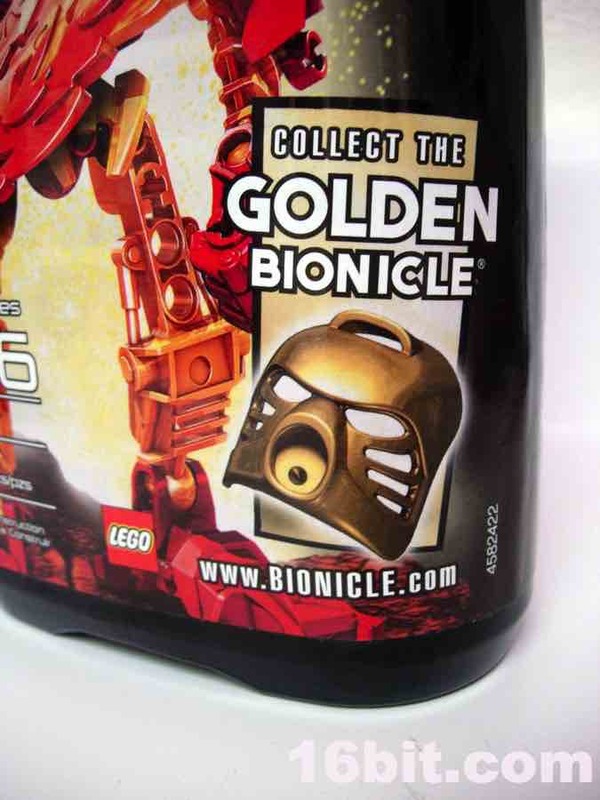 It's so easy to put together it's almost ridiculous, and since they charged $8 for it, it would be nice if it wasn't the previous year's $6 figures' body in a new box with a new head. 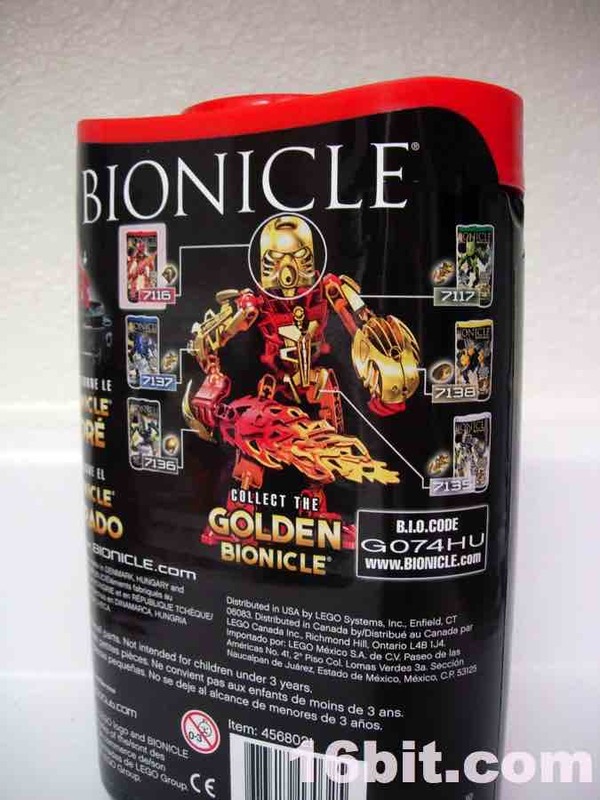 Still, value's not exactly a big deal now as this series is being dumped at closeout stores for about $6 and, frankly, it's a really nice action figure for the asking price. 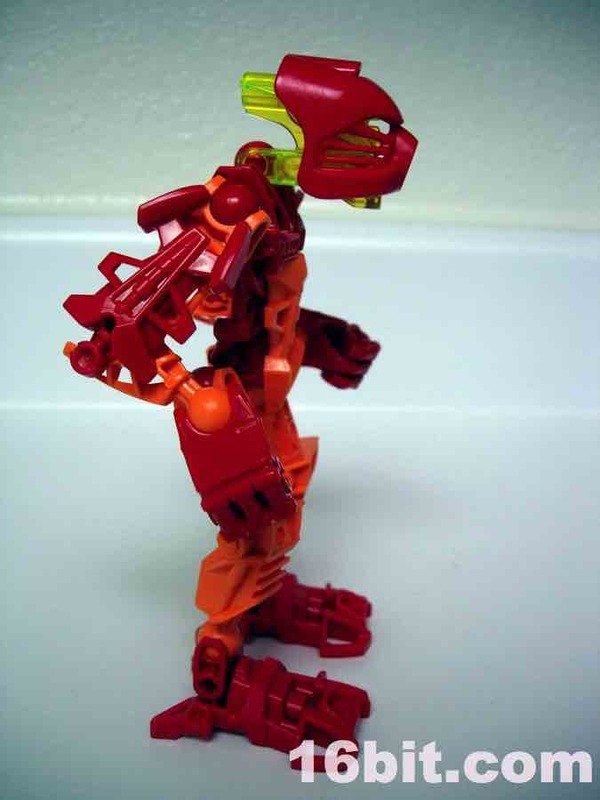 The construction is sturdy, parts aren't going to come flying off, and the articulation is good for such a quick build-- it's nice to see how far LEGO engineering came over the nearly 10-year run. 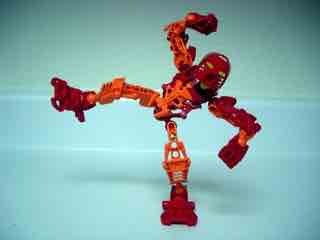 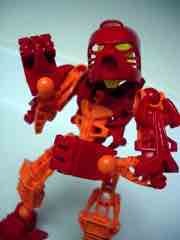 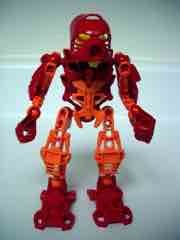 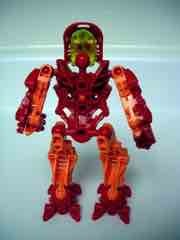 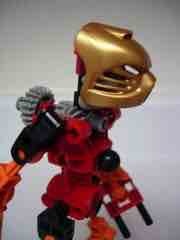 Unlike the original Tahu, this one has a neck joint, bringing his total articulation up to 9 ball joints. 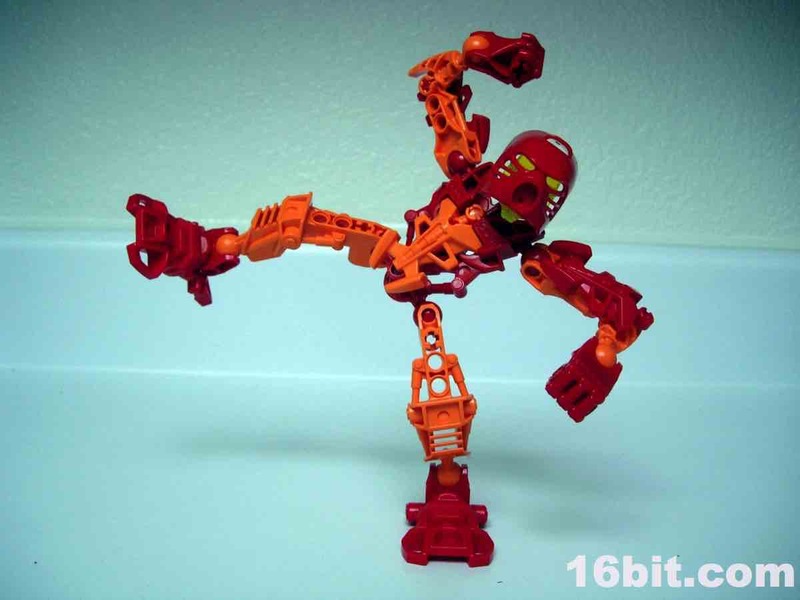 It may not sound like a lot, but the range of movement and giant feet allow him to sit, or to do all sorts of wacky sword fighting poses. 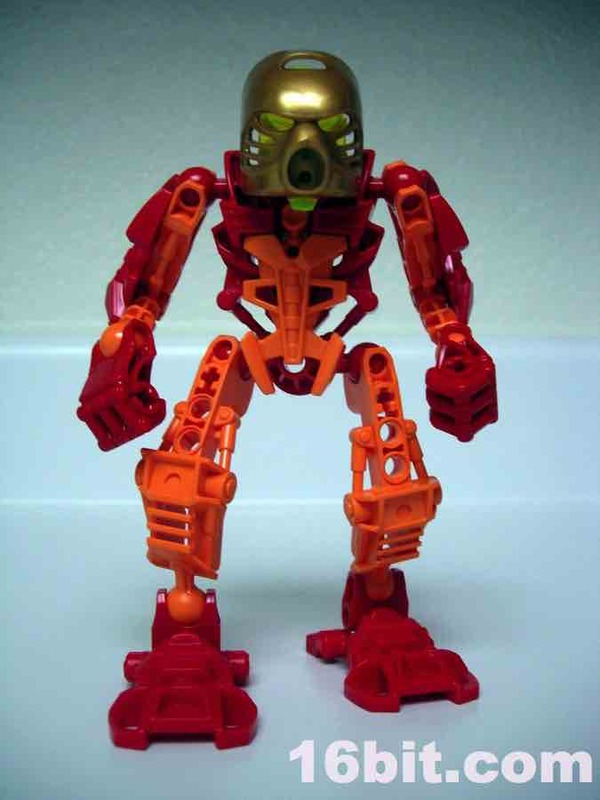 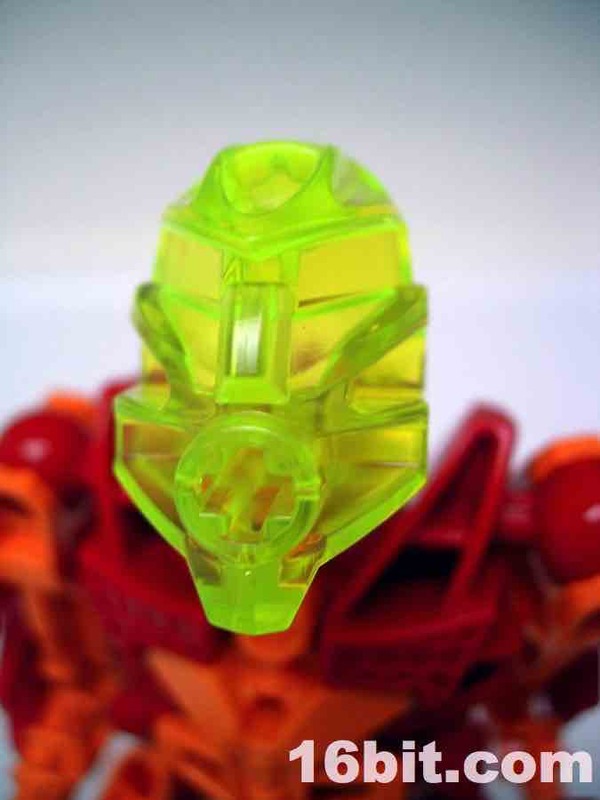 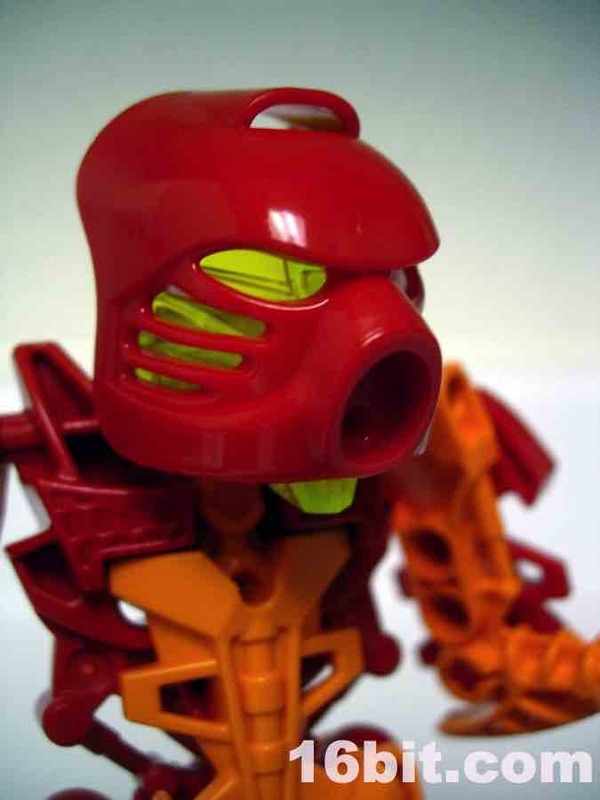 While retaining the original toy's orange and red color scheme, Tahu's eyes are now green instead of red like the original. 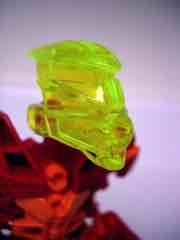 It looks good but it also means his entire head under the mask is green, and that's tough to photograph well. 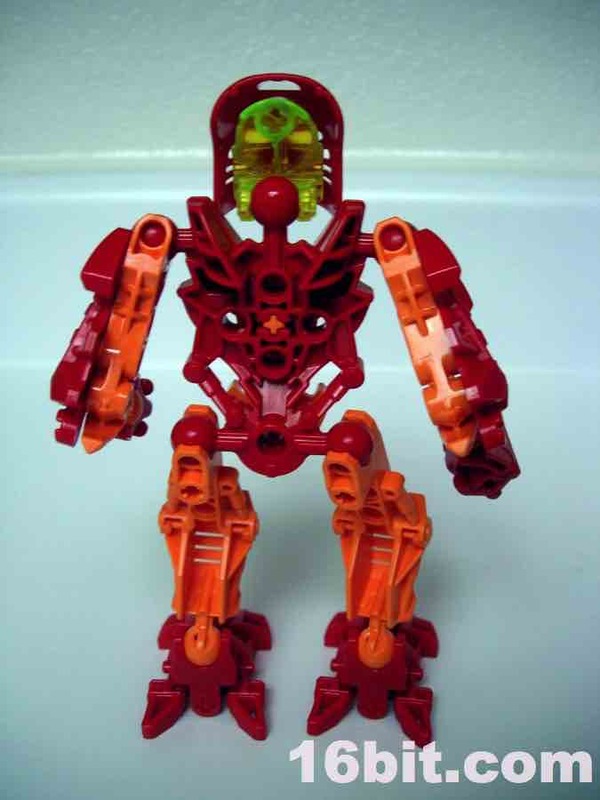 Many of the parts are repurposed from existing sets, the body is mostly recolored parts from Glatoran sets, the sword is recycled, but most surprisingly is the mask-- it's a new mold. 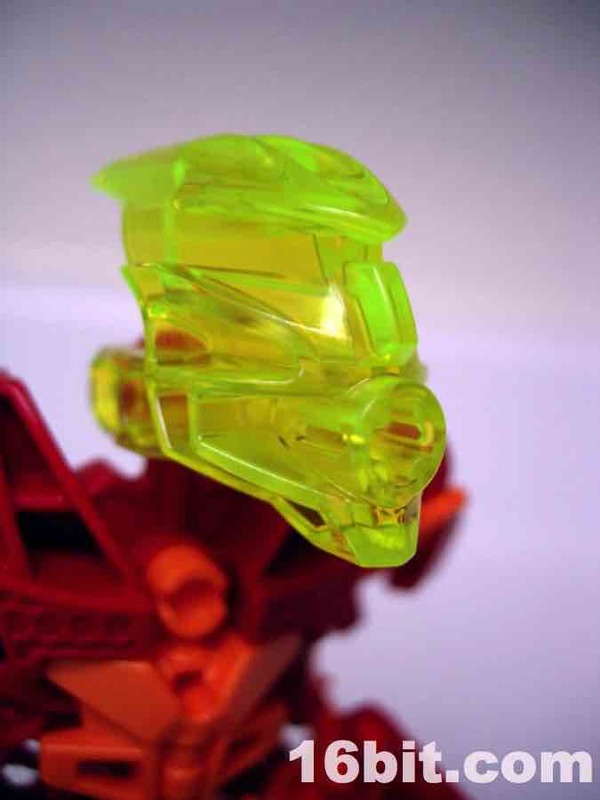 The mask it a little longer in the back, has a cross rather than a circle where it connects to the head, and barely (but not really) fits on the original Toa heads. 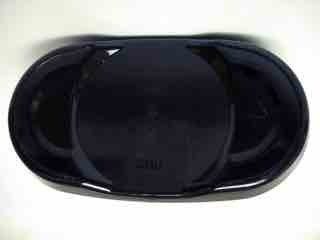 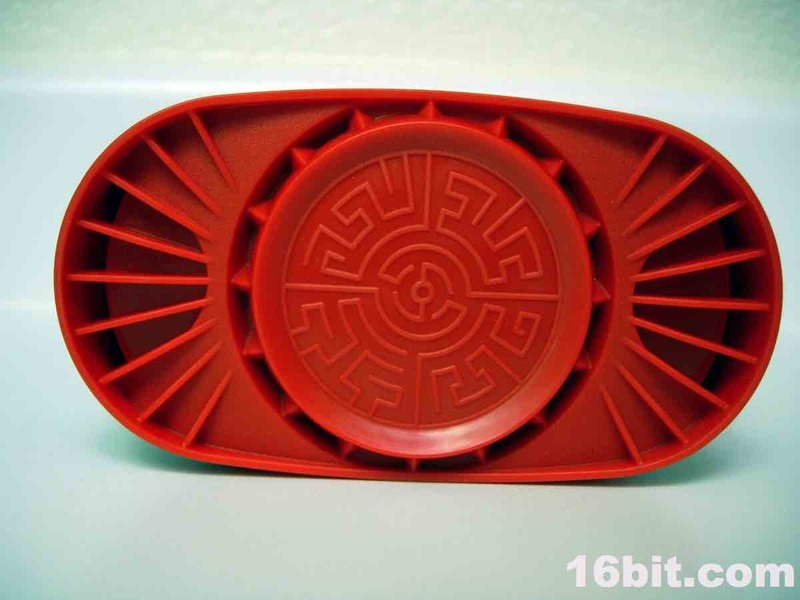 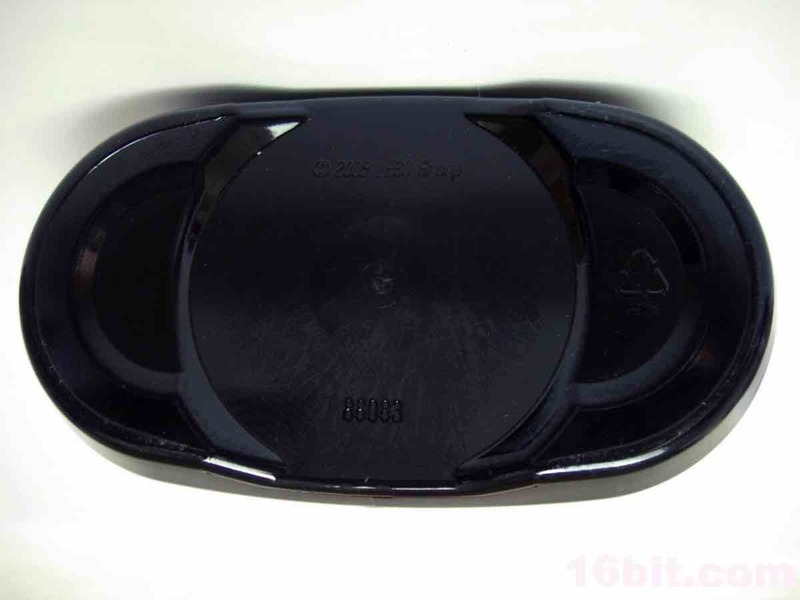 Basically, it'll fit, but it starts to slide off on its own due to plastic tolerance issues... it squeezes itself free. 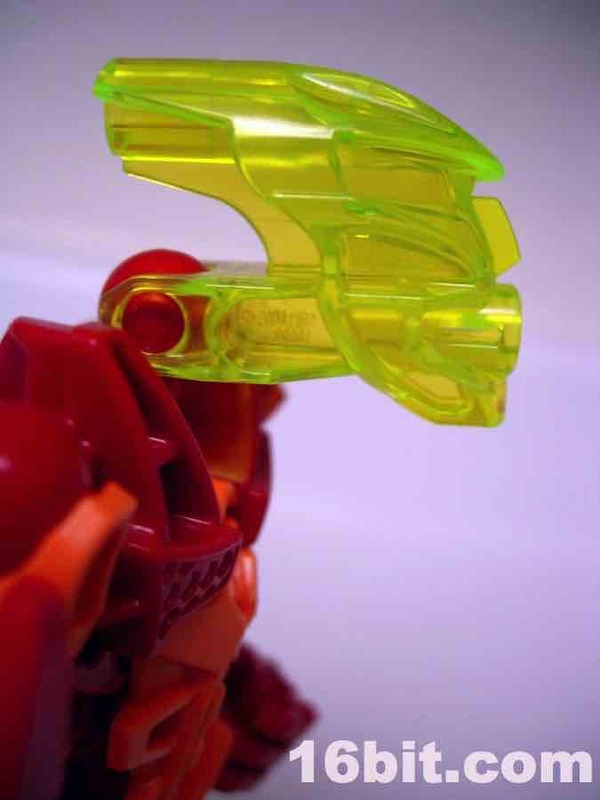 I picked this toy up on the closeout shelves after the run was done, and it was so good I basically had to jump to write this review while I was still excited. 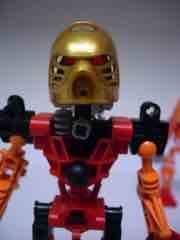 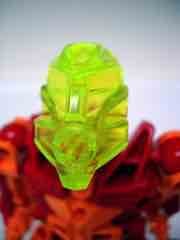 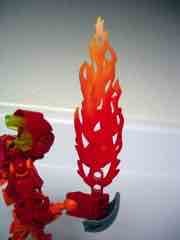 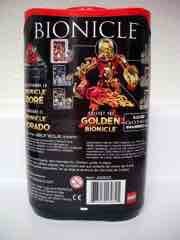 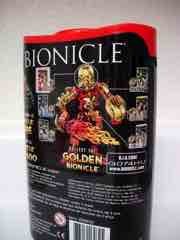 If you're a lapsed Bionicle fan or just someone who was always curious to try them out, go get one of these. 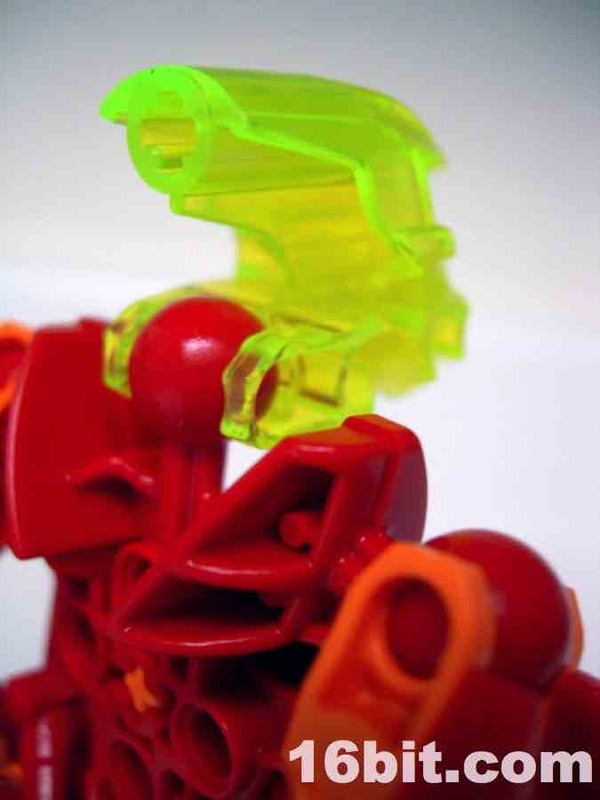 I won't promise you'll love it, but I'm getting a tremendous kick out of it and may pick up one or two more on the inevitable road to getting the entire set. 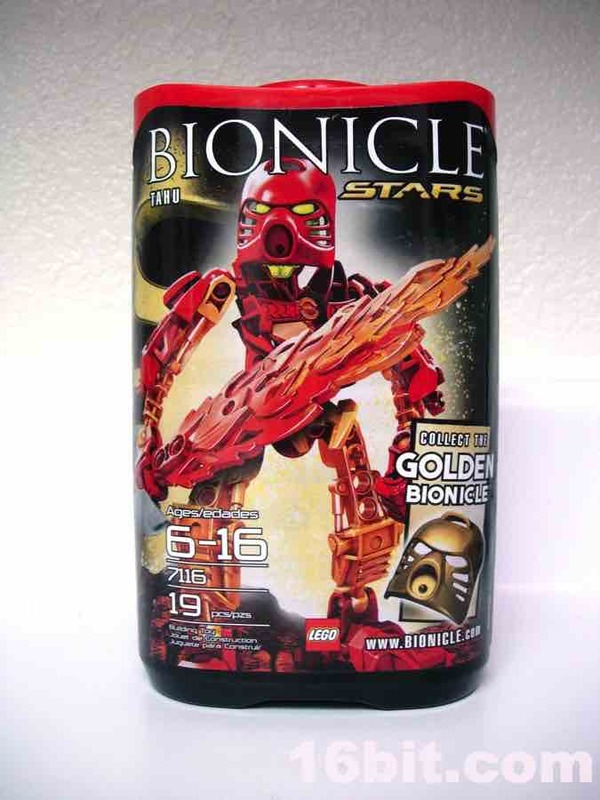 I really like "Legends" or "Classics" or "Stars" series of new, smaller versions of good older toys. 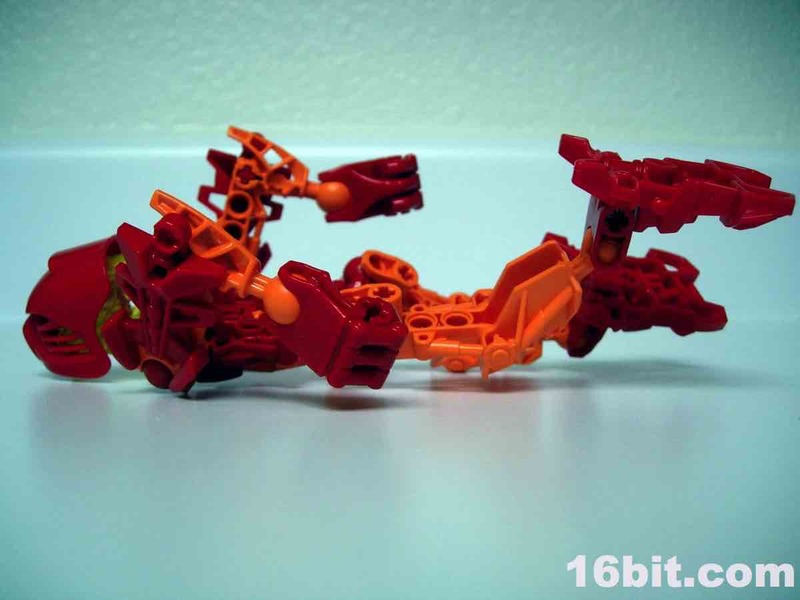 The only things this toy is missing over the original is the geared arm swinging mechanism and more small parts to lose-- it's much more kid-friendly and since it won't take long to put together, it's priced right as a nice desk toy for you employed toy junkies.